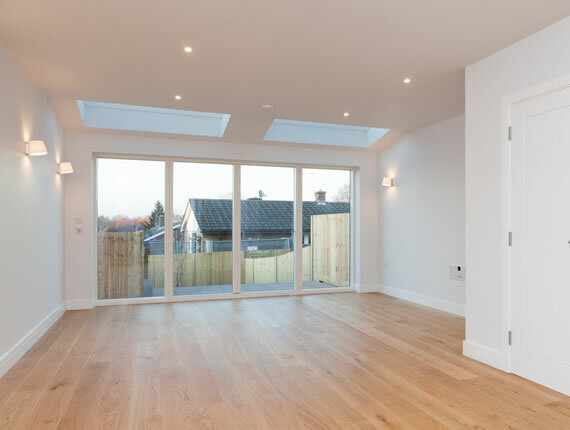 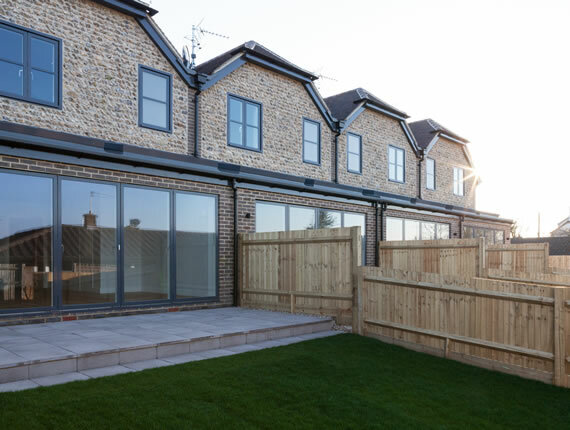 The project consisted of building 4 new build terraced houses. 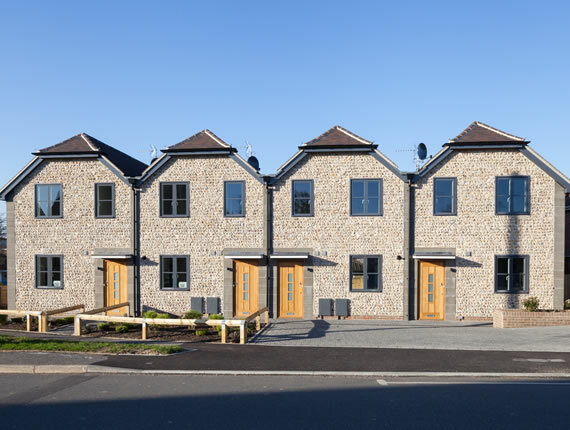 The houses were timber frame construction and this meant the main structural frames including the first floors were erected in 3 weeks. 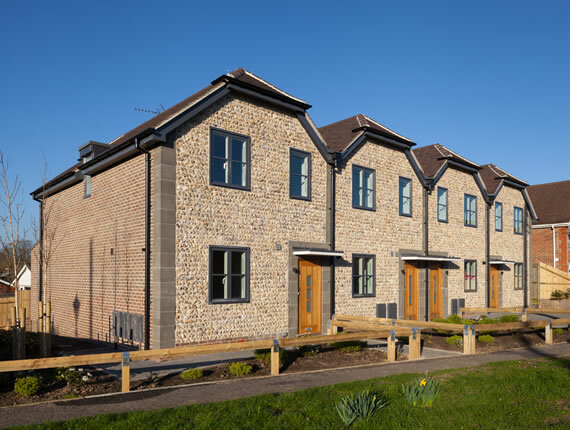 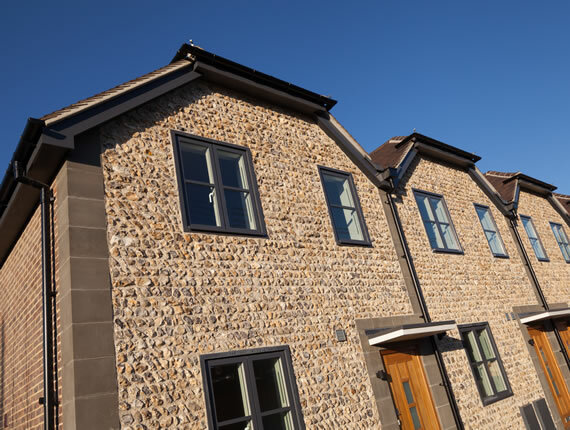 Due to the project location (Sussex), the look of the houses were very traditional and included Velvac windows and sliding doors, flint external walls, cast stone quoins and traditional oak doors. 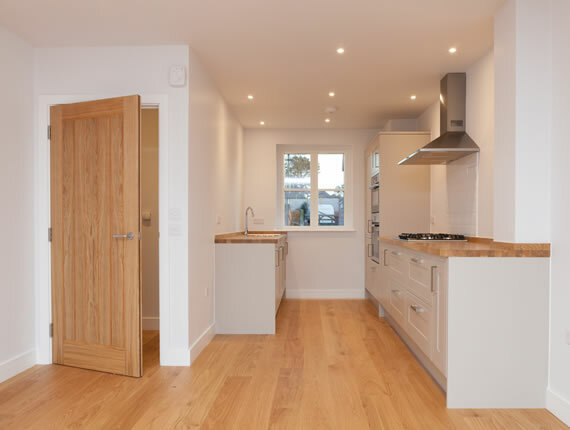 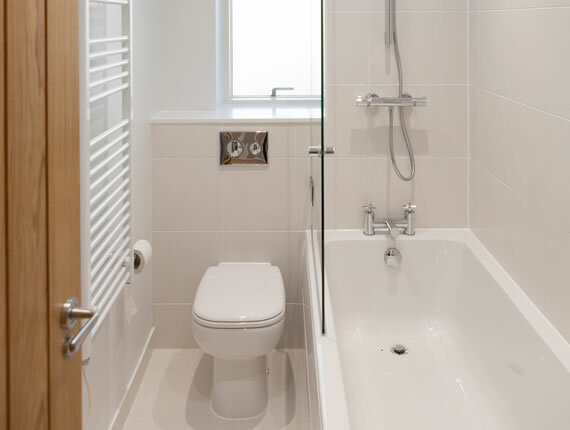 The internal works were traditional yet modern with the finishes being kept fairly simple and in keeping with the cottage like feel of the houses.